Jane's Box of Colours: Christmas is coming....look busy! Very cute! I LOVE how you've coloured up the n-o-e-l! Take it easy with that frantic coloring, you don't want to injure those million dollar hands! 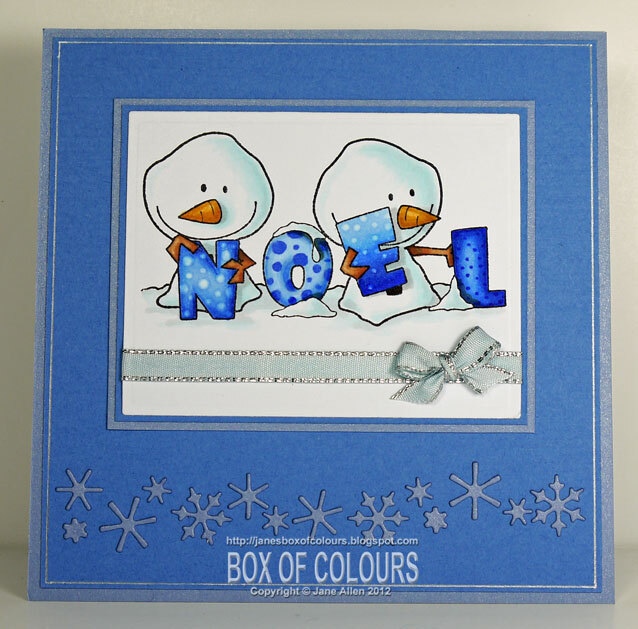 What a gorgeous stamp and your colouring looks brilliant as always. Love it! that image is too cute and you colored it so beautifully! fabulous card!